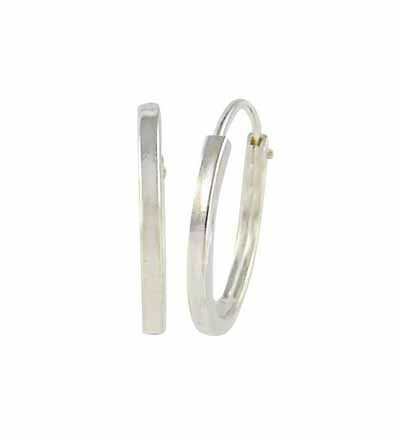 Simple sterling silver hoop earrings (16mm) from The Opal silver jewellery shop. 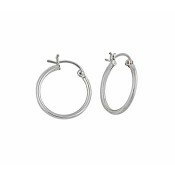 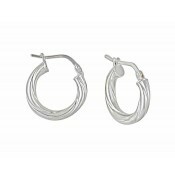 These silver polished earrings curve into a hoop and feature a latch for secure fastening. 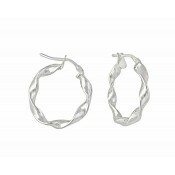 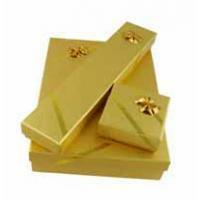 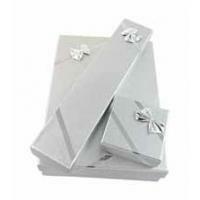 Ideal for every day to match any outfit or look.